Experience the power of Tsugami. 866.224.8576 | info@remsales.com | www.remsales.com Tsugami's BW129Z is a 12 mm CNC Lathe that offers simultaneous 3-Path Control on Dual Independent Gang Slides, enabling diverse part processing, including pinch turning and pinch milling. 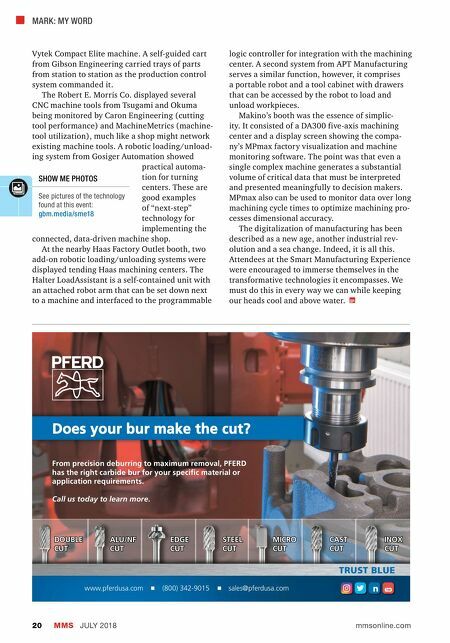 Its standard nine cutting axes and free, user-friendly Abile software will make easy work of your most complex machining challenges. This machine also comes in 20 mm. 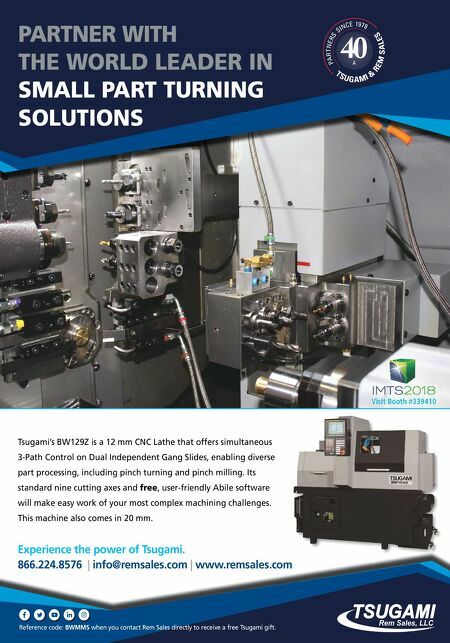 PARTNER WITH THE WORLD LEADER IN SMALL PART TURNING SOLUTIONS Reference code: BWMMS when you contact Rem Sales directly to receive a free Tsugami gift.